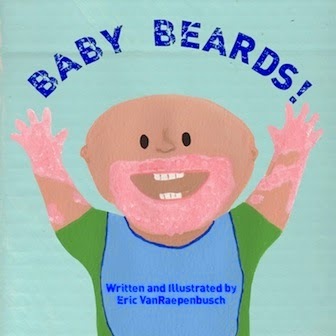 Eric VanRaepenbusch, Author-Illustrator, Storyteller, Blogger: Baby Beards! Part 10: They're Here! 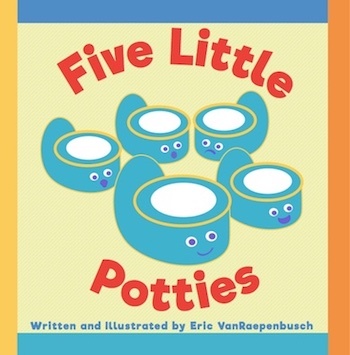 ON SALE TODAY (7/10/14) - Only $7.25 for paperback + Kindle download for FREE! 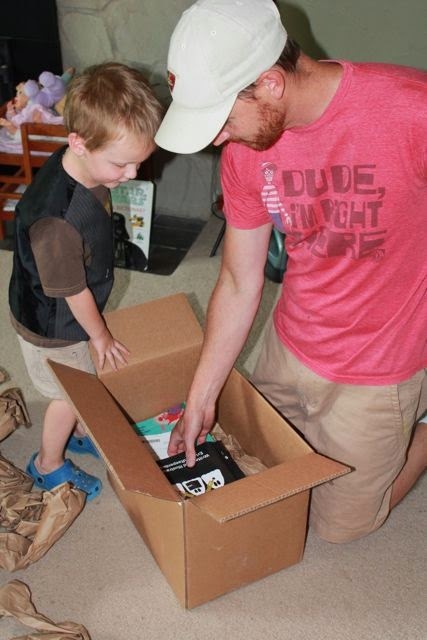 A big package came in the mail today! 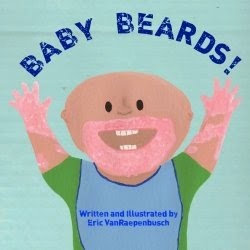 Just in time for the end of the 10 day blog series about Baby Beards!. 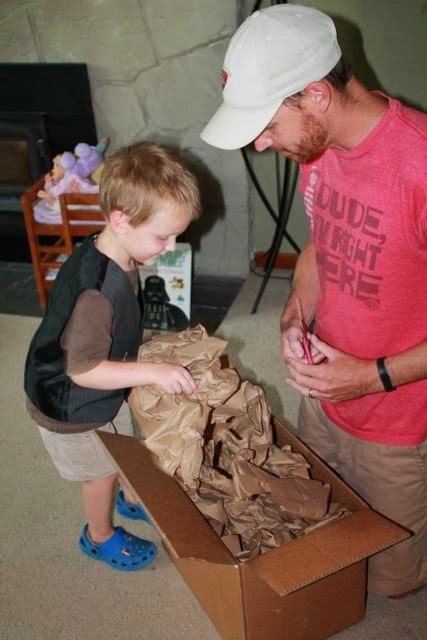 My youngest son was anxious to see what was inside the BIG box. 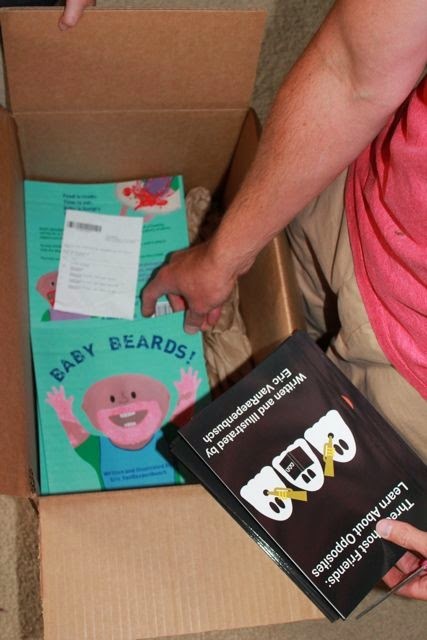 He said as he unpacked, "I think its Baby Beards!." 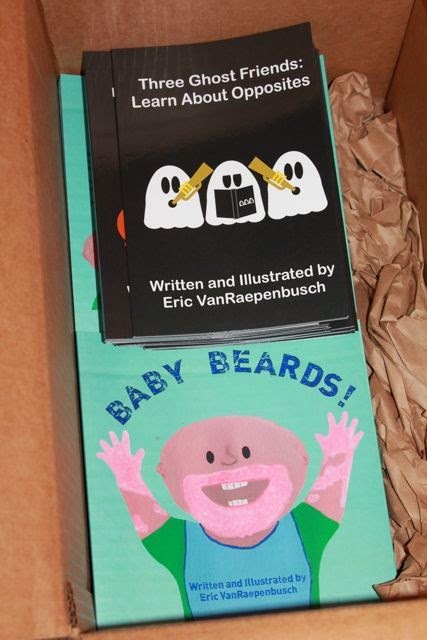 He was right -- 100 copies of Baby Beards! plus a few of my Three Ghost Friends books to replenish my supply! I was running low after all the school visits I did at the end of the school year. Did you know I love visiting local schools? 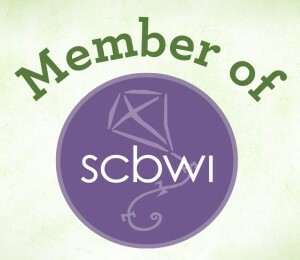 Click here for information! 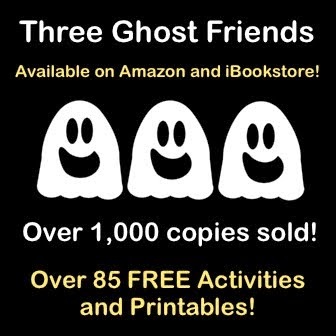 My Three Ghost Friends books are available on Amazon.com in paperback and for Kindle. 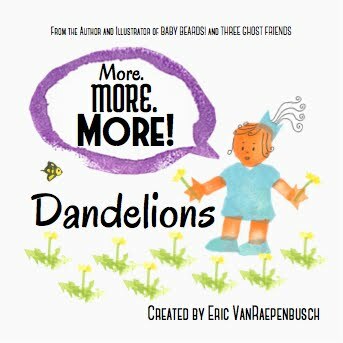 Plus, they are on iTunes as eBooks for iPad and iPhone. Whoa! 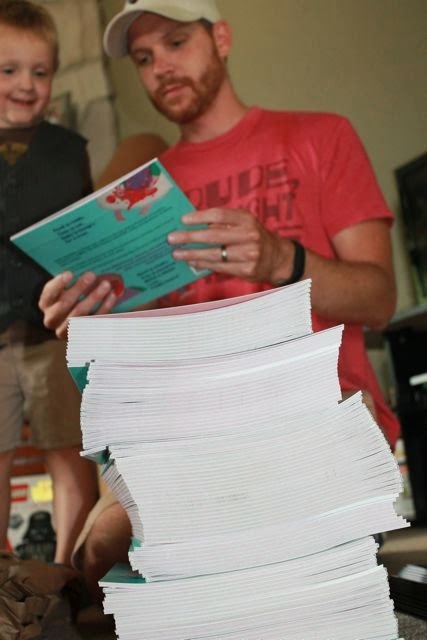 Check out that stack of books! 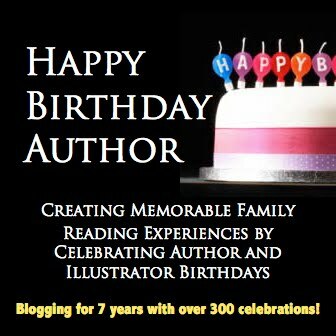 Thank you so much for reading this blog series! I hope you enjoyed it! 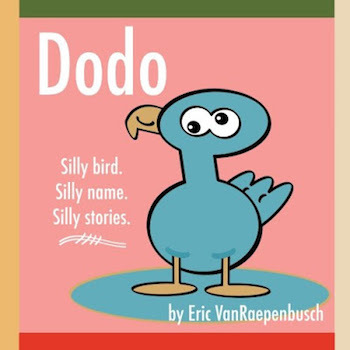 Part 8 - If anyone tells you making a picture book is easy, THEY ARE WRONG! 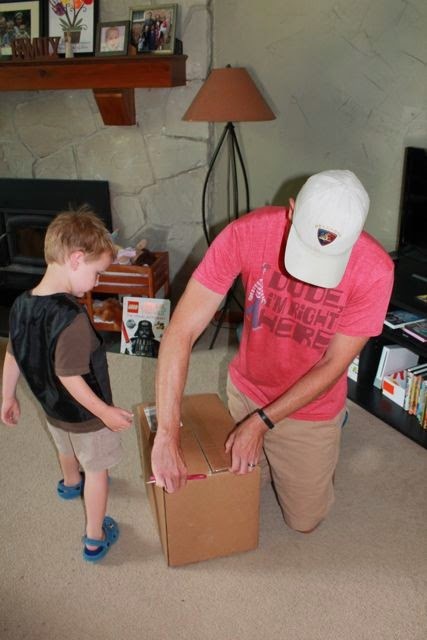 Part 10 - They're Here!